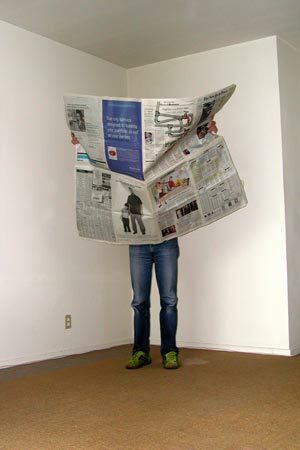 »Newspaper« (2003) is a gigantic newspaper created out of four issues of the New York Times, part of a series of sculptures of enlarged objects using the object to enlarge itself. »Untying a Shoe with an Erection« (2003). By Mads Lynnerup.